For more than half a century, the Land and Water Conservation Fund (LWCF) has been the principal funding mechanism for adding to our national parks, forests, and other public lands. But unless Congress acts to reauthorize the LWCF, this key tool will expire on September 30, 2018. The LWCF promotes outdoor recreation, from unlocking new areas for hunting, fishing, and hiking to helping states and local governments protect and develop parks and recreation facilities. Perhaps lesser known—but no less important—is the pivotal role that the fund plays in preserving historic places. To date, the National Park Service (NPS) alone has used more than $550 million from the LWCF to acquire key sites or otherwise expand its historic and cultural park units. Many millions more have been used to bring lands with cultural and historic significance into public stewardship at the federal, state, and local levels. At its core, the LWCF helps people experience places. And, as historic preservationists, isn’t that what we’re all about? The LWCF has been used to fund land acquisitions that protect landscapes whose cultural significance dates back thousands of years, places that reflect current American experiences, and everything in between. The fund ensures that all Americans can learn from, experience, and enjoy sites that tell the diverse stories of our shared history. The LWCF has been instrumental in saving places associated with the Civil Rights era. 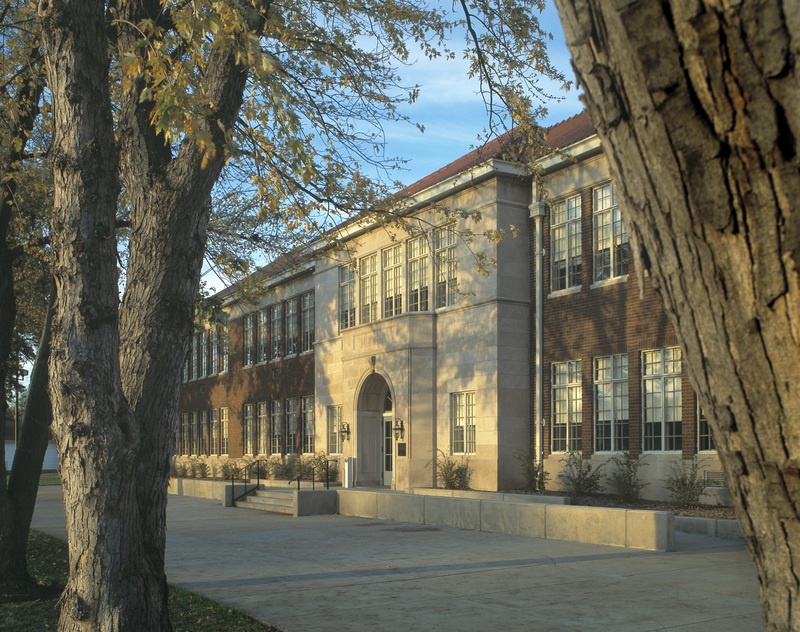 The NPS used the LWCF to purchase Monroe Elementary School, the segregated African American school attended by Linda Brown in Topeka, Kansas. Brown’s father was the plaintiff in Brown v. Board of Education, the landmark 1954 case in which the Supreme Court found that “separate educational facilities are inherently unequal.” The school, which closed in 1975 due to declining enrollment, was designated a National Historic Landmark in 1991 and established as a National Historic Site in 1992. Thanks to the LWCF, it is now open to the public and serves as an interpretive center of the Brown v. Board of Education National Historic Site. The LWCF also funded the acquisition of lands within the Martin Luther King, Jr. National Historical Park in Atlanta. The Women’s Rights National Historical Park in Seneca Falls, New York, tells the story of the first Women’s Rights Convention in 1848 and the formal beginning of women’s struggle for equal rights. The park’s sites—including Wesleyan Chapel, where the Declaration of Sentiments was signed, and the homes of Elizabeth Cady Stanton, Mary Ann M’Clintock, and Jane Hunt—were privately owned when Congress established the park in 1980. More than $1 million from the LWCF, combined with donations of property and other funds, ensured the acquisition of these sites for inclusion in the park. The LWCF has been used to acquire lands associated with important American Revolution and Civil War battles. In Massachusetts, the fund allowed for acquisitions within the Minute Man National Historical Park, which preserves and interprets the opening battles of the American Revolution at Lexington and Concord. Civil War battlefields at Harpers Ferry National Historical Park, Fredericksburg and Spotsylvania National Military Park, Antietam National Battlefield, and Gettysburg National Military Park have collectively gained more than 11,000 acres using the fund. Additionally, the LWCF funds the American Battlefield Protection Program (ABPP), which has provided more than $50 million to states, local entities, and nonprofit partners to preserve historic battlefields outside of national park boundaries. 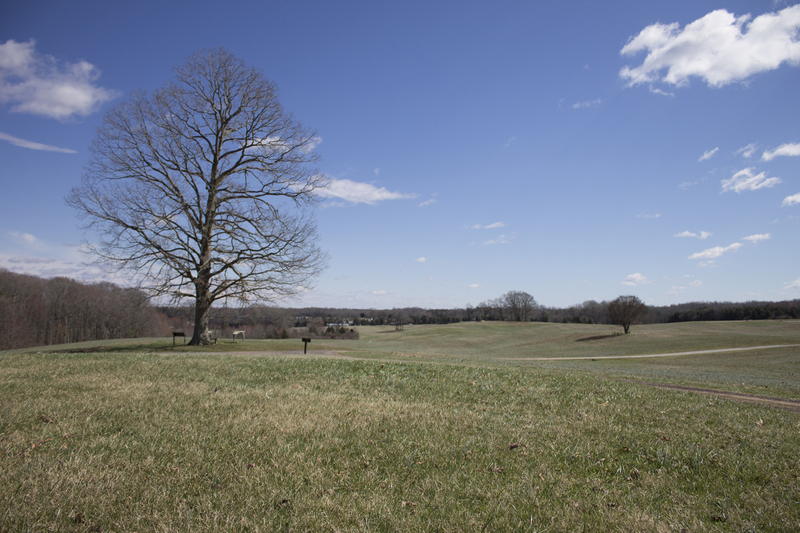 Between federal land acquisitions and the ABPP, the LWCF helped take Chancellorsville Battlefield from among America’s 11 Most Endangered Historic Sites in 1998 to an ongoing preservation success story. The LWCF has helped protect remarkable Ancestral Puebloan cliff dwellings and other internationally important archaeological sites at Chaco Culture National Historical Park in New Mexico, as well as at Mesa Verde National Park and Canyons of the Ancients National Monument in Colorado. 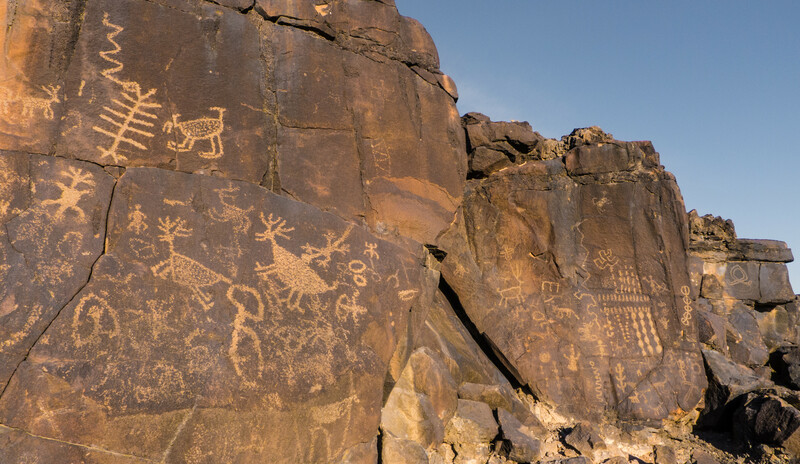 In southwest Arizona, the Bureau of Land Management (BLM) used the LWCF to acquire parcels containing a spectacular array of petroglyphs within the Sears Point Archaeological District, which was listed on National Register of Historic Places in 1985 and is also part of our Great Bend of the Gila National Treasure. The fund is a key tool for reducing inholdings and addressing checkerboarded land ownership, which have long presented challenges for managing historic and cultural resources in the West. Land acquisitions are especially important for cultural sites that are closely tied to their landscapes and intangible features like dark night skies. The LWCF has also been used to protect cultural and archaeological sites in the East, including Hopewell Culture National Historical Park in Ohio. At the Minidoka National Historic Site in Idaho, the LWCF funded the acquisition of lands at the former site of the Minidoka Relocation Center, where more than 9,000 Japanese immigrants and Japanese Americans were interned between 1942 and 1945. Following World War II, the site was parceled out as farmland and offered to veterans through land lotteries. In 2011 the NPS acquired 138 acres that formerly housed the interment camp’s fire station, water tower, military police headquarters, and barracks blocks 21 and 22. The acquisition is allowing the park to reestablish block 22 on its original location, including a barracks building and mess hall, to more fully interpret this significant chapter in American history. The LWCF allows the NPS, the BLM, and other agencies to bring historic and cultural assets into public ownership and stewardship in perpetuity. States and local governments also heavily rely on the LWCF to secure lands for parks that allow people to experience history close to home. These projects not only prevent development or loss due to incompatible uses but they also provide access for people to enjoy and learn from our shared public lands. The LWCF is based on a simple premise: as we develop and permanently deplete offshore mineral resources belonging to the public, we should invest a portion of the revenues into land assets that will benefit all Americans in perpetuity. It functions like the Historic Preservation Fund (HPF): each year $900 million in federal revenue, primarily from offshore oil and gas leasing, is deposited into the LWCF within the U.S. Treasury. Congress then appropriates money from the LWCF for federal land acquisition, outdoor recreation grants to states, the ABPP, and a handful of other programs. Congressional appropriations from the LWCF have varied significantly over the years, with Congress providing full funding twice over the life of the program. Most recently, Congress provided $425 million in the FY18 omnibus appropriations bill. The promise of conserving lands and waters in public ownership for generations to come is as important now as it was in 1964, when President Lyndon B. Johnson signed the Land and Water Conservation Fund Act into law. Record visitation at our national parks in 2016 is a testament to our parks as “America’s best idea” and to the enduring desire of the American people to connect with our iconic landscapes and historic places. As we continue the work to balance growing populations and expanding development with preservation, the LWCF plays a central role in saving places that help define our shared heritage. The National Trust for Historic Preservation is proud to work with our colleagues in the LWCF coalition and to educate preservation allies about the enduring importance of this critical preservation program. David J. Brown is the executive vice president and chief preservation officer of the National Trust for Historic Preservation.